Create Your Own Bingo Cards In Just Three Steps! 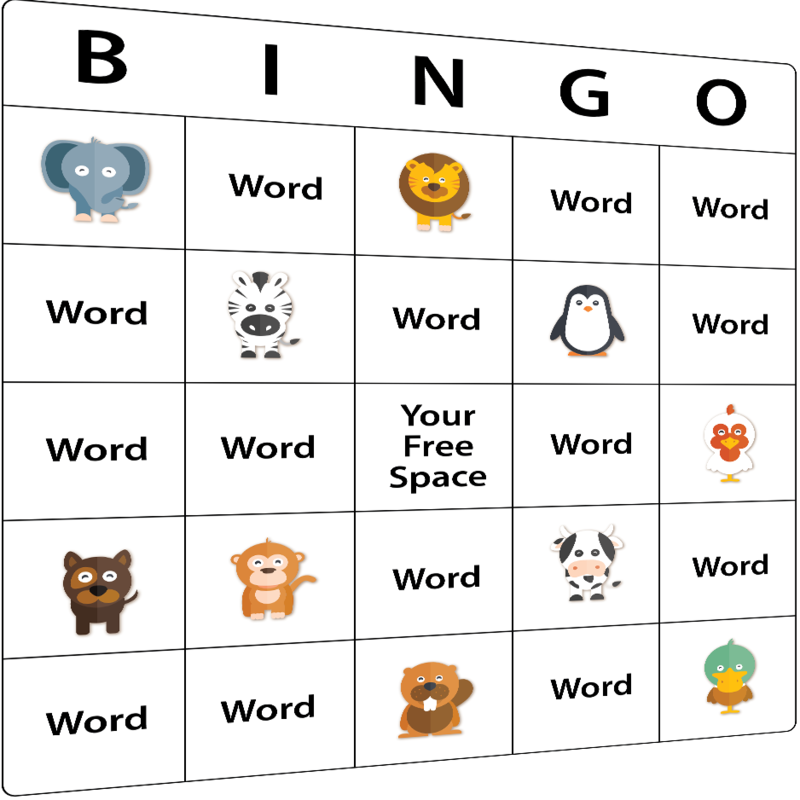 Bingo Card Creator lets parents and professionals make custom printable bingo cards using words, pictures or both in 3 easy steps. Font, Size, Colors & More. *NEW* Create Bingo Cards with pictures, words or both! Save time! You can print custom bingo cards for an entire classroom on your normal computer and printer in mere minutes and in 3 EASY STEPS. Leave the busywork to the computer -- it will make sure every card is scrambled and unique for you. Plus you can use the over 1025 premade (and still totally customizable) activities included with your account! Plus, every custom list you create is automatically saved for you in your account. Access Anywhere! As long as you have internet access, you have Bingo Card Creator. And, since your cards are auto-saved, you can access them from anywhere there is internet and a printer! Completely Flexible Every teacher knows that some of the best classroom tools are ones you can use over and over again for a variety of different classes and settings. In just 3 easy steps, you can put it on a bingo card. Vocabulary lists, letters, numbers, math facts, social studies facts, student names (great for first day jitters), we even have cards for National Donut Day -- the choices are endless! See some examples of what we've done with this flexibility. Buy with confidence. In addition to a free trial so you can see if Bingo Card Creator is exactly right for you, we offer an unconditional 30 day money-back guarantee. If you're not absolutely thrilled with our software, we don't deserve your money. "Thanks again ... I would highly recommend it to anyone I talk to!!!" – Glenda D.
Every card you print out with Bingo Card Creator is automatically scrambled. For example, if you were to print cards from the First Grade Sight Words Bingo Wizard (one of 1025 included wizards), they'd come out like this picture. You can click it to see exactly what they'll look like from your printer, or start using the free trial to customize your own.